We love breakfast. However, we usually only eat breakfast together on Saturdays and Sundays. Most mornings 6:20-7:15 is a crazy marathon getting ready for our days and we don’t have a chance to sit down together. So we decided to have breakfast for dinner. I made blueberry pancakes, and Josh made the hash browns and sausage (spontaneous purchases on my lunch break, but man it was worth it). It’s been so fun to learn to cook together. I feel very prideful saying it’s come naturally for me… but it has. Josh, however, has really blossomed. He expressed the desire to cook me a special meal once a month. He’s done one so far- and I almost quit as the primary cook. He made Chicken Alfredo, asparagus and garlic bread- and has become a master breakfast chef. Anyway, we settled into our comfy couch (our couch and coffee table is our dining room) with our delicious breakfast, and an episode of Alias. After the episode ended, it was back to the kitchen. 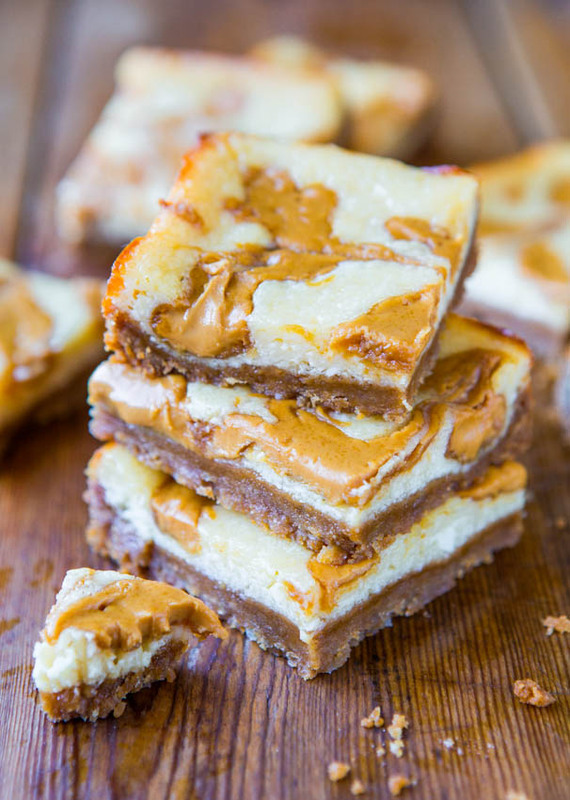 We made the peanut butter cheesecake bars- Josh made the crust and I made the filling… team work! Then I chopped some veggies for our spaghetti and salad for Thursday night. AND back to the couch. I would love for someone to explain to me how I can sit at a desk all day long, and come home utterly exhausted and just want to sit on the couch for hours. We are planning on moving in December (more on that in a future post), and I tend to get very anxious and worked up when I don’t know what’s going to happen next. I’m trying to remind myself to take one day at a time (and I am preaching to myself as I check my email every 5 minutes waiting for someone to email me back about an adorable cottage). Enjoy today… find joy in this day… and be thankful. Also this morning, Josh and I jumped out of bed before the sun and started the day taking a walk together. Pretty good way to start the day, and instead of scuffing into work, I practically bounced into work. Maybe something’s true about exercise being good for you. Hehe. I am SO thankful for date nights. I know that no matter how crazy things are, Wednesdays are always set apart. And I love that we don’t have to spend money to have fun together. Thanks for making my cheesecake crust, and for being game to jump out of bed in the morning and go on a walk, and for being my best friend (shh don’t tell Mary Grace or Elise! You’re ALL my best friends!). I’m excited about the weekend with you- even if we have a big chunk we’re spending apart. I’m thankful that you enjoy the things you’re studying and are diligent to spend time in your studies, and that you are intentional about spending time with me at the same time.